For many people who are joining the OSCEdays community, the concept of Open Source is relatively new, and we get a lot of questions about it. But it is important to have a good understanding of it in order to reach the full potential of the OSCEdays and an Open Source-driven development of a Circular Economy. So Sam @cameralibre & I @Lars2i decided to create this short video. Open Source is not just about slapping on an open license and “Open Sourcing” your stuff. It often means building or becoming part of an ecosystem or platform. Don’t think of it as 'Open Source Your Hardware’ - instead ‘Build Open Source Hardware - with others, or by building upon existing open projects’. We didn’t have time for this in the video, but one thing that helps people from time to time to understand Open Source business models better is the difference between copyright and trademark - you open up your copyright to allow collaboration, but your trademark and branding is still yours alone. If, for example, Apple decided to open source their products to allow others to co-develop them, others would be able to use this technology and create their own devices, but only Apple could use the Apple logo and the official product names, like iPad and MacBook and so on. Why are Non-Commercial Licenses not Open Source? 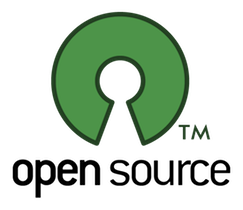 Open Source was a term created in 1998 to market Free Software to business - its emphasis is on the methodology of effective collaboration to build high quality software. Free Software, on the other hand, is focused primarily on ethical matters. ‘Free’ refers to ‘Free as in Freedom, not Free as in free beer’ - here the key aspect is the user’s freedom to use, study, adapt and improve the software. Whatever your perspective, It is good to go back and listen to Richard Stallman, the father of the Free Software movement. Here is one of his latest talks, given at the 31C3 in Hamburg in December 2014. We like to practise what we preach! We have also published the video project (open it with Kdenlive) the video & audio files, and the editable graphics files used in the video (open them with Inkscape). Admittedly, even though it’s possible, open sourcing video projects is not currently very practical. Even when only supplying the takes which we used in the final cut, the video files are more than 10GB of data, so it may be that nobody ends up using our files (which is fine). But it’s important not to rely upon such assumptions. You simply can’t know what other people may use your work for - the beauty of this process is that sometimes you get very unexpected developments that you never would have thought of. So if you can put your work out there for others to use, please do so. Just try to ensure that your project files and folders are tidy, well-labelled and logically structured, so that other people can understand them. We made the mistake of scripting the video first instead of improvising the text directly to tape, hence why we’re talking a bit funny. But on the plus side, it already works as a text. So we like to share to original script as well as the full transcript of the video. _ LIGHTS ON: Sam & Lars next to each other on the Sofa. Hi, we are Sam & Lars, part of the team that initiated the OSCEdays – the Open Source Circular Economy Days. Many people ask us, what is Circular Economy? And what is Open Source? Both the terms can be confusing if you’re not familiar with them, but it’s important to understand them in order to see the potential in the OSCEdays. So in this Video we are going to answer the question: What is Open Source? The main idea is that when you publish or sell something, you also provide the information required to make and understand it – it’s like providing a recipe with a cake – people can learn from the recipe, find out what’s in it, experiment with it, and adapt it to their own tastes, ingredients or equipment. Open source means sharing your work and knowledge with the commons, in order for everyone to benefit – but there are a few key details and requirements which help everything run smoothly – these may be legal licenses or social norms which have developed over the years. Open means anyone can freely access, use, modify, and share for any purpose. _ SLIDE: Open source hardware is hardware whose design is made publicly available so that anyone can study, modify, distribute, make, and sell the design or hardware based on that design. The hardware’s source, the design from which it is made, is available in the preferred format for making modifications to it. 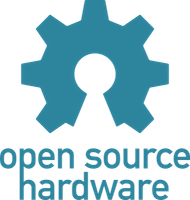 Open source hardware is hardware whose design is made publicly available so that anyone can study, modify, distribute, make, and sell the design or hardware based on that design. The hardware’s source, the design from which it is made, is available in the preferred format for making modifications to it. So what is Open Source? It is sharing of information, and giving permission to do great things with this information! But for it to work, the information must be complete, clear and instructive and the permissions must be made explicit, to enable others do do everything with it that they see fit. What are common practices of and around Open Source? Well, as the definition says: People make what they do publicly available. _ SLIDE: The word „# 1 PUBLISH“ appears as some kind of sub-title/on the screen. So they share building plans for hardware, Recipes for materials. Instructions or Tutorials for processes, or Source Code for Software, parts lists, Full, machine-readable sets of data. Not just superficial photos or descriptions, but really deep useful information in order to allow and enable others to do things with it. Wherever possible, they try to use open standards – file formats which are compatible with a wide range of tools and are designed to be useful in the long-term. _ SLIDE: The Subtitle: „# 2 USE ACCESSIBLE (OPEN) FORMATS & AVAILABLE COMPONENTS“ appears. Provide editable formats that are accessible for many people. For exampls, a PDF is hard to edit! Share a .odt or .doc file as well. Make sure that others can read and edit your files without having to buy expensive software or tools. Rather than using a complicated part that must be custom-built, or tools and materials that are difficult to access in certain parts of the world, people try to use use readily available common components and materials as well as standard processes. _ SLIDE: The Subtitle: „# 3 ACCESS, SHARE, MODIFY“ appears. They can build these things and spread them. So the solutions find a wider audience, and more contributors. - like - 3 d printing is now so big, because of the open source Rep Rep project. People can adapt open source projects. Apply it to their local needs and … There is no one size fits all solution - For the OSCEdays, for example, you have different waste in Lomé then you have in Helsinki so solutions will have to be customized. Open Source can save time and money by avoiding patents and growing collaborative communities to help with research and development. You can build trust in your Products, cause with open documentation others can repair and maintain it - and if the stuff is recyclable - recycle it. But for all this to work, you need to give people permission to help you. A license is a legal document that signals to others what they can do with your stuff and what they can’t. When you create a document, file, or creative work, you automatically have an all rights reserved copyright which stops others legally copying and improving that work. In order to legally allow collaboration with others, you have to use an open license, to give others permission to study, copy, modify, use and share your stuff. The question of licensing is not trivial, and there are different licenses for different things. And it is not the purpose of this video to dive too deep into this matter. But whatever license you pick, make sure, that it does not have a „Non-Commercial“ clause or a „Non-Derivative“ clause in it. And commercial use is a valid purpose. By restricting commercial use, you restrict people’s creativity and motivation from the very first interaction. Using these licenses also makes your work incompatible with free and open projects. As a starting point, here are two clear and common licenses which you can use which fit every definition of open source. You can find more information about them in the video description. _ SLIDE with the CC-BY & the CC-BY-SA license + Link to creative Commons. Can you make money with Open Source? I wish I could say that this question is rare, but the truth is that most people ask this. Of course you can make money with it! The idea that you can’t is some kind of bug in many people’s heads – preventing them from thinking beyond monopoly business models and being really creative. There are a lot of answers to this question and business models build on top of the advantages and possibilities of Open Source. And the OSCEdays are also about combining these answers with the business models of the Circular Economy. Just because open source gives you information to make something yourself, it doesn’t mean it’s all DIY and hobby projects - often projects are open source to allow companies and industries to collaborate on complex, high-level products which users probably wouldn’t build themselves. Companies benefit from shared open source projects while specializing on their unique products and sevices. This allows for better, smarter, faster cross-industry collaboration. And we can use this approach to build a circular economy. And we can use this to build a circular economy. One thing that helps people from time to time to understand this better, is the difference between copyright and trademark - You open up your copyright to allow collaboration, but your trademark and branding is still yours alone. If, for example, Apple decided to open source their products to allow others to codevelop them, others would be able to use this technology and create their own devices, but only Apple could use the Apple logo and the official product names. Open Source is an effective method to collaborate in decentralized way. And with the OSCEdays we are aiming not just for a circular economy but for a circular economy built with this collaboration technique. Where can You get more information about Open Source? To start, you can follow the links we’ve provided to various resources and definitions. _ SLIDE with the names of all definitions and the links to it. You can search online for „Open Source + Your City“ or „Your Country" to get help from local people in your local language. Open Source is a wordwide movement. And you can probably find OS people in your city or country, that might be interested in helping you. Or maybe there is a Makerspace or a Fablab in your city. Search „Makerspace“ or „Fabllab“ and „Your City“. Many things that occur in and around Makerspaces and Fablabs are built because of Open Source Principles and Designs. So there is a good chance that you can experience open source there and also meet some people, that can help you. And in the end, we want to say that Open Source is still young! It is very well developed in the world of software, where this whole movement started. And other areas are slowly catching up. But there is still a lot to invent in the world of hardware, processes, business communications and so on. Circular economy is a great goal to work on together, so let’s get experimenting! Ok. See you at the OSCEdays. Or before. Or after. in this video, we’re going to answer the question: What is Open Source? The main idea is that when you publish or sell something, you also provide the information required to make and understand it – it’s like providing a recipe with a cake – people can learn from the recipe, experiment with it, and adapt it to their own tastes, ingredients or equipment. Since the founding of the Free Software Foundation in 1985, communities have developed definitions and guidelines – we’ll look at a couple here. For something to be ‘open’ means anyone can freely access, use, modify, and share it for any purpose. And here is a definition focusing on open source hardware, so for physical objects or related practices. What are common practices of Open Source? So they share building plans for hardware; recipes for materials; instructions or tutorials for processes; source code for software; parts lists; and full, machine-readable sets of data. Not just superficial photos or descriptions, but really deep, useful information in order to allow and enable others to do things with it. Provide editable formats that are accessible for many people. For example, a PDF is hard to edit! Share an .odt or .doc file as well. Make sure that others can read and edit your files without having to buy expensive software or tools. As more people can build these things, the more they spread. So projects find a wider audience, and more contributors. People can adapt open source projects. Apply it to their local needs. There is no one-size-fits-all solution - For the OSCEdays, for example, you have different waste in Lomé then you have in Helsinki, so solutions will have to be customized. You can build trust in your products, because with open documentation others can repair and maintain it - and if it is recyclable - recycle it. When you create a document, file, or creative work, you automatically have an ‘all rights reserved’ copyright, which stops others legally copying and improving that work. In order to legally allow collaboration with others, you have to use an open license. The question of licensing is not trivial, and there are different licenses for different things. And it’s not the purpose of this video to dive too deep into this matter. But whatever license you pick, make sure that it does not have a "Non-Commercial“ or a "No Derivatives“ clause in it. Because this is not Open Source! Remember: Anyone can freely access, use, modify, and share for any purpose. And commercial use is a valid purpose. By restricting commercial use, you restrict people’s creativity and motivation from the very first interaction. Using these licenses also makes your work incompatible with free and open projects. As a starting point, here are two clear and common licenses which you can use which fit every definition of open source: Creative Commons Attribution and Attribution-ShareAlike. You can find more information about them in the video description. There are a lot of answers to this question and business models build on top of the advantages and possibilities of Open Source. And the OSCEdays are also about combining these with the business models of the Circular Economy. Where you get more information about Open Source? Search for "Makerspaces“ or "Fab Labs“ in your town or city. These spaces have a very strong relationship to open source, so there is a good chance that you can meet people who can help you understand it, and get your first open source experience. And finally, we want to say that Open Source is still young! It is very well developed in the world of software, where this whole movement started. And other areas are slowly catching up. But there is still a lot to invent in the world of hardware, processes, business communications and so on. Circular economy is a great goal to work on together, so let’s get experimenting! Auto Collaboration images by Judith Carnaby are licensed under a Creative Commons Attribution-Sharealike 4.0 license. OSCEdays logo & branding by Jennie Ottilie Keppler and Max Fabian is licensed under a Creative Commons Attribution 4.0 license. “What is Open Source” by Sam Muirhead & Lars Zimmermann is licensed under a Creative Commons Attribution-ShareAlike 4.0 International License. Where to find expertise on Open Source methodologies? SOLUTION – How to equip a citizen open lab with the circular economy? good idea! just translate it, I’ll get it up on Amara.org with the correct timings and then it’s ready for other translations if people want to do it. Great it’s going to help me a lot to write my article !